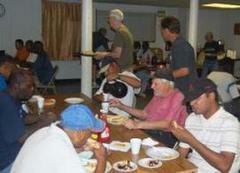 "Be doers of the word, and not merely hearers..."
Earls Place provides a home for homeless men in transition. In addition to regular financial support, members of the congregation equip an apartment for one resident moving into his own place, through a Giving Tree each Christmas. Assistance Center of Towson Churches (ACTC) offers emergency support to individuals and families in crisis on behalf of a coalition of Towson area churches. 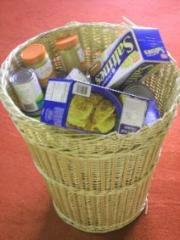 We contribute food staples and supplies and Thanksgiving baskets as well as monetary support. Habitat for Humanity of the Chesapeake works to rehabilitate houses for families who would not otherwise be able to afford a simple, decent home. 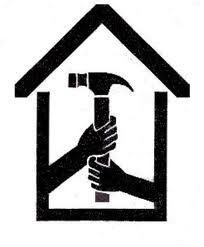 First & St. Stephen's UCC is particularly involved with the Peace by Piece Interfaith Volunteer Corps, a sub-group of Habitat, where volunteers from Christian, Jewish, and Muslim communities work together to build relationships and understanding as they build houses. Special Offerings received periodically throughout the year include: One Great Hour of Sharing (OGHS), received during Lent; Neighbors-In-Need (NIN), received on World Wide Communion Sunday; and a special offering for Lancaster Seminary, received on the last Sunday in April. Our Church's Wider Mission (OCWM) is the ministry of the wider United Church of Christ which provides financial and human resources for special needs, including disaster and humanitarian relief. We offer financial support to this mission. Join us in building a stronger faith-based movement for peace, justice, equility and inclusiveness.